Heritage offers rare jewelry and timepieces through our impressive live 'Signature Auctions' as well as through the internet to our bidder-members. Collecting valuable objects uniquely rewards owners with beauty, history, personal satisfaction, and more. Unfortunately, new collectors often overpay for these objects and become disillusioned, while inexperienced owners and heirs routinely receive too little when selling. For collecting to become a more credible and inclusive vehicle for wealth creation, the playing field between experts and novices must be level . We believe deep, unbiased information can and should be available to all parties, transactions made more transparent, trading friction reduced and the learning curve made less steep and less expensive for new collectors and sellers. To be the world's most trusted and efficient marketplace and information resource for owners of fine art, jewels, rare collectibles and other precious objects. Integrity - Honesty and fairness must define every facet of our business. Transparency - We embrace clarity and openness, enabling clients, partners and coworkers to make informed, confident decisions. Expertise - Our success depends upon providing clients with the best possible advice. Efficiency - We focus on helping clients, partners and coworkers save time and resources. Innovation - We continually make our services more convenient and useful. Long-Term Perspective - We strive to carefully construct only sustainable, win-win agreements with clients and partners. 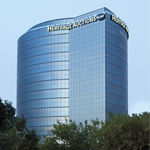 Heritage Auctions is the largest collectibles auctioneer and third largest auction house in the world, as well as the largest auction house founded in the U.S. We are also the undisputed Internet leader in our field, with more than 1 million online bidder-members registered on HA.com. This loyal and growing community of collectors is a testament to the usefulness of our website, our reputation for professional business practices and our vast expertise in the field of art and collectibles. We give our customers unprecedented access to our services by featuring the latest advancements in technology and maintaining a strong presence in the collectibles community. Our knowledgeable staff of more than 130 experts and 400 additional service-oriented professionals, utilize our suite of services to help our customers develop the best collections possible. We are always looking to acquire interesting items, whether through consignment or by outright purchase. On average, we spend or disburse millions of dollars every business day while satisfying our clients' demands. Find out why you should consign to a Heritage Auctions . The employees of Heritage Auctions and HA.com contribute to many local and national charities, in many ways. We welcome your visit, and recommend that you call ahead at 214-528-3500 to make an appointment. All of our collectibles are secured in time-lock bank vaults. Many of the rarities we deal in are investment-quality items that not only enhance a collection, but also add financial stability through diversification. Our world-leading experts provide informal auction appraisals as well as paid appraisals for insurance purposes, in addition to advice on collecting, certification, restoration and conservation .